Diamond Details:White brilliant cut white diamonds, of F color, VS2 clarity, weighing 3.60 carats total. 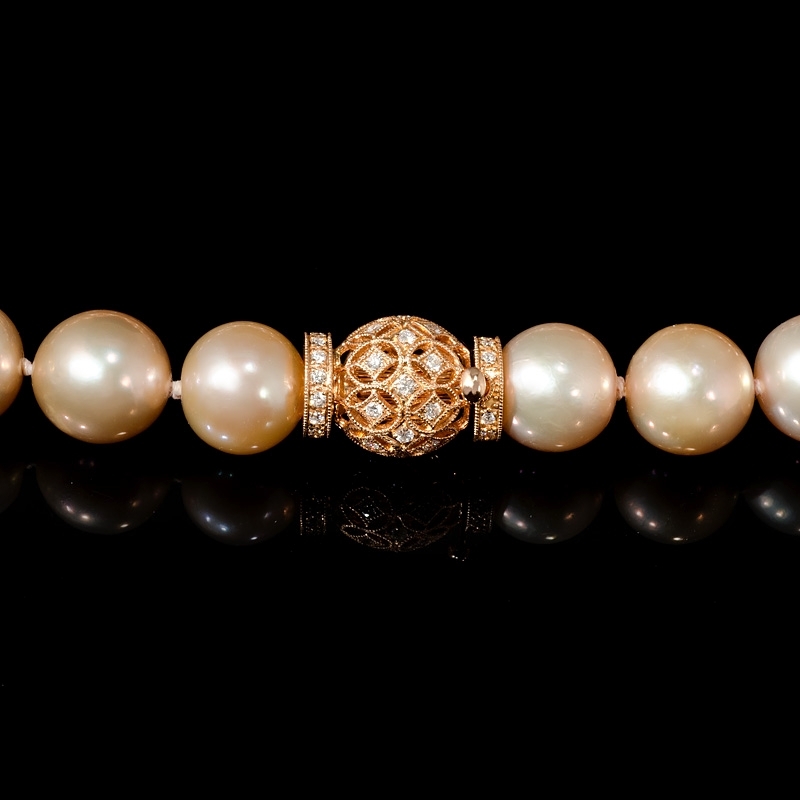 Pearl Details:Pink fresh water pearls of very high luster, measuring 11.4mm to 14.2mm in diameter. Necklace details: 14k rose gold antique design. 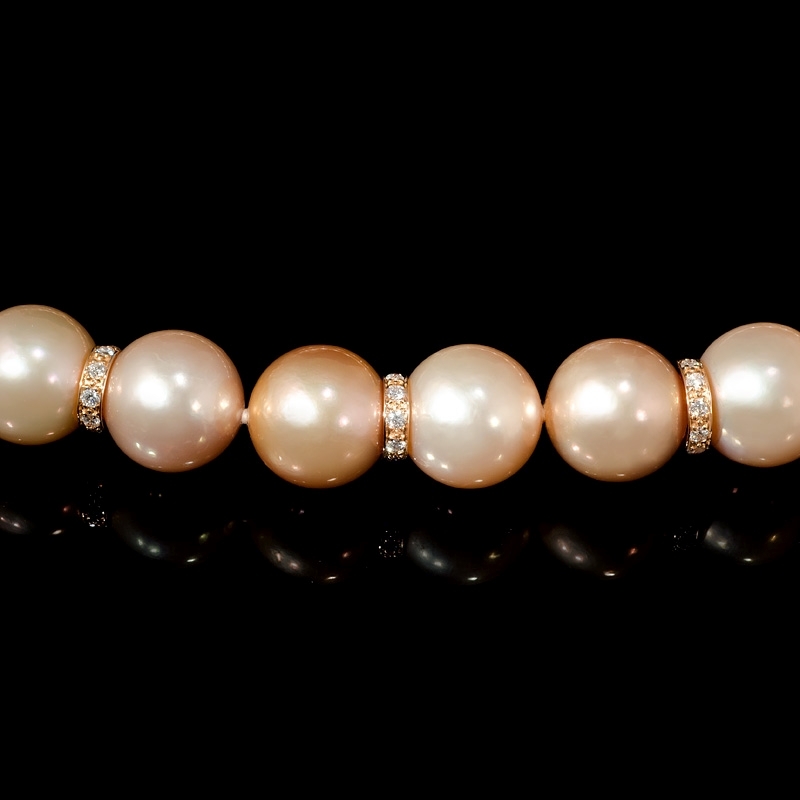 Measurements: 33 inches in length and 14.2mm at its widest point. 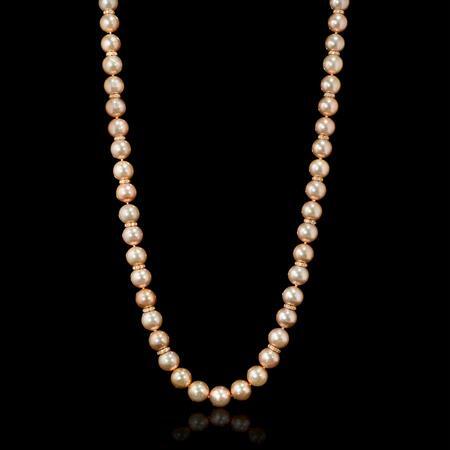 This elegant antique style 14k rose gold pearl necklace, features pink freshwater pearls of very high luster, measuring 11.4mm to 14.2mm in diameter and white diamonds, weighing 3.60 carats total. 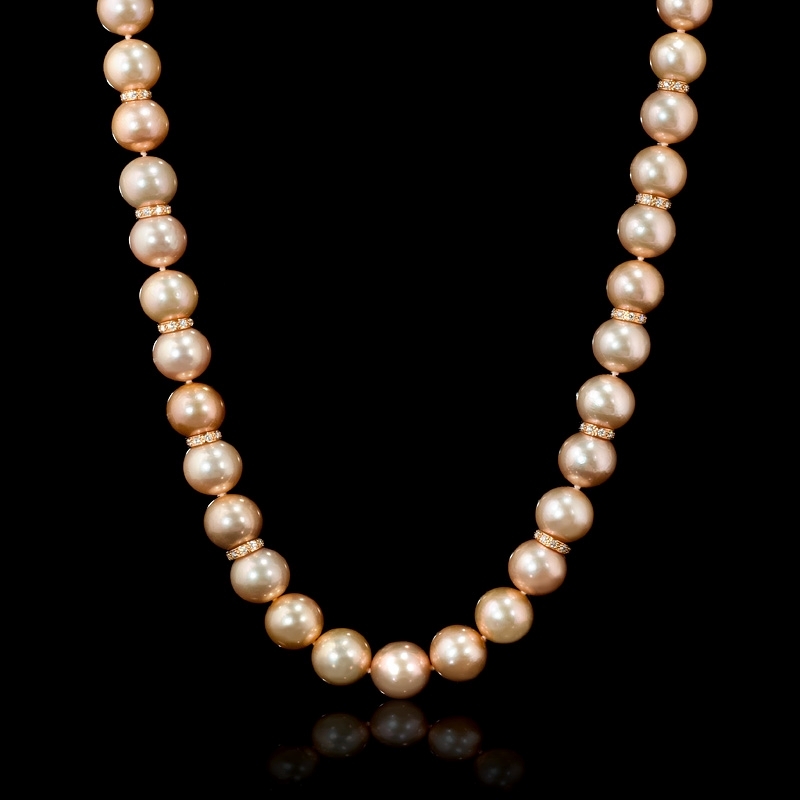 This pearl necklace measures 33 inches in length and 14.2mm at its widest point.